Upfront we expected to get an exciting test session on the best selling kite from Liquid Force; the NV. 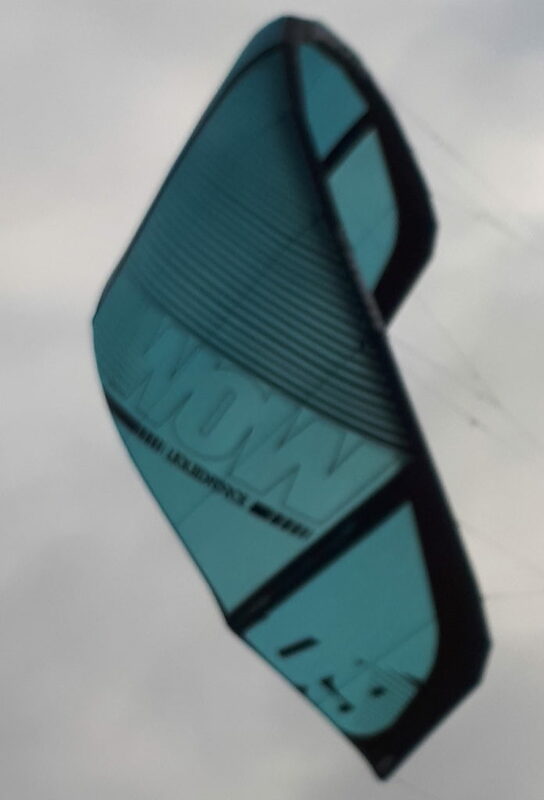 We almost didn’t bother to test the wave kite; the WOW. Luckily we did. Unexpectedly the WOW is a much nicer kite than the NV. Where the NV is restless, the WOW is more stable and firmer with less jellyfishing. We got a strong feeling the type of canopy, or the amount of Ripstop, had an important role in this test. Multilayered Ripstop seems to be not just a marketing pushed feature. While testing the single Ripstop NV back to back with the triple Ripstop WOW we have made another step towards believing single Ripstop really is something from the past. The American Liquid Force is not as wel known in Europe compared to Northern America. It may have to do with the prices, which are up to 30% higher in Europe and similar to those of all major brands like those of -for example- a F-one Bandit. The best known kite from Liquid Force is the Envy, now re-branded to the NV (the 8th Envy version). 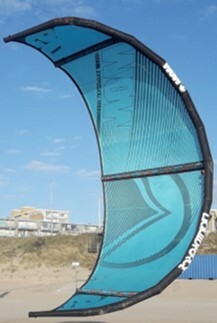 Liquid Force describes the NV as a can-do-it-all kite From pro freestyler, to wave seeker, or the weekend warrior, the NV will perform beyond expectations. The WOW should be the the perfect wave magnet including limitless freeriding fun. Liquid Force does’t seem to copy a lot from other brands. A good example is the bar. It has an unique 3-way width settings option. Probably very few will actually use it, but it is unique. It comes in two sizes (we used the larger one on the 9m). The thick, round depowerline is far from the smoothest we know (now we understand why the North Click bar has wheels to smooth the flow of the depower line, which the Liquid Force bar is lacking) but it seems not to be affected by any wear out. It is missing a stopper ball, which can be a bit of a problem for people with shorter arms since the cord is quite long. The standard chicken loop is smaller compared to most other brands. Too small for convenient re-hooking. However, Liquid Force does have a larger loop available. The bar does have another interesting feature how easy the safety can be re-united by just pushing it back where it belongs. The four 23m lines (can be reduced to 20m) have a low split and comes with a manual swivel below the bar. Liquid Force has its own specific inflate. It works amazingly well and effective that is probably why they changed from (the more common) Boston inflate. Unfortunately this is the fifth different system for a wide inflate. We already own so many pumps and still we run into situations we cannot pump a kite due to yet another different system. 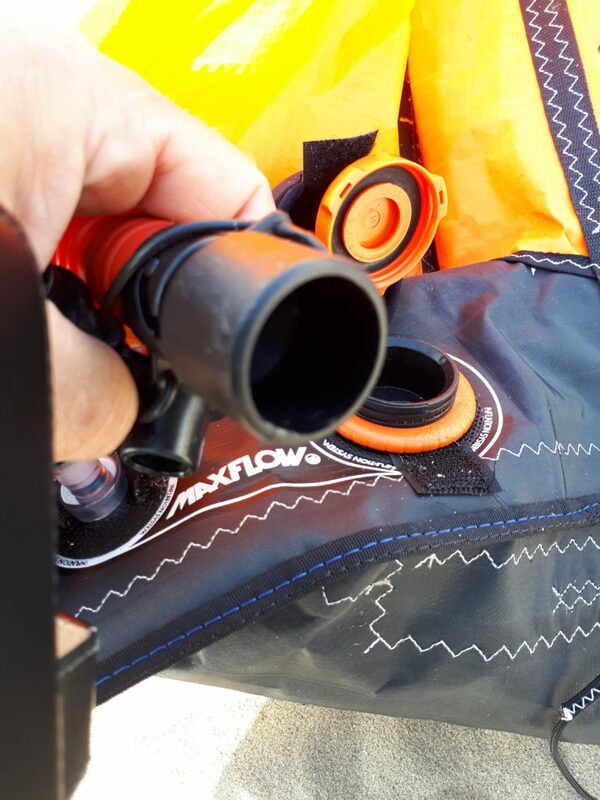 A small rescue is added to the Liquid Force kites; it still comes with the old fashion small inflate. Although it seems like a minor detail, the single Ripstop of the NV feels like a step back for anyone who is already used to a kite with double or more Ripstop . On the website Liquid Force mentions in the drawing the NV has double Ripstop. But in the explanations it says single Ripstop. In fact the NV is made from single Ripstop. Apparently this isn’t because Liquid Force doesn’t belief in multilayered canopy. The WOW does have triple layered Ripstop (officially called Challenge Triple Ripstop Canopy) . Liquid Force has informed us that the 9th version of the NV will be made from triple Ripstop as well. The confusing part here is that there is apparently an NV with multi layered Ripstop-although the Liquid Force website is not mentioning it- there is a very limited Black edition or NVLTD . On several websites it is mentioned to be double ripstop, but Liquid Force reaction to us is that the NVLTD is made out of triple rip stop. Anyway we tested the regular NV with single Ripstop. The effect of the type of canopy is quite an debatable subject, but we dare to say that the NV does itself short by having single Ripstop (even without any battens in the trailing edge). Every single tester had the same opinion; the canopy and the kite are restless, shaking and giving a constant slightly deviating pressure build up. It’s a real shame. Since the NV noticeably has so much potential. It is quite quick powerful and eager to do some radical moves. It isn’t designed to be smooth and nice but to give you a lot of power when needed. 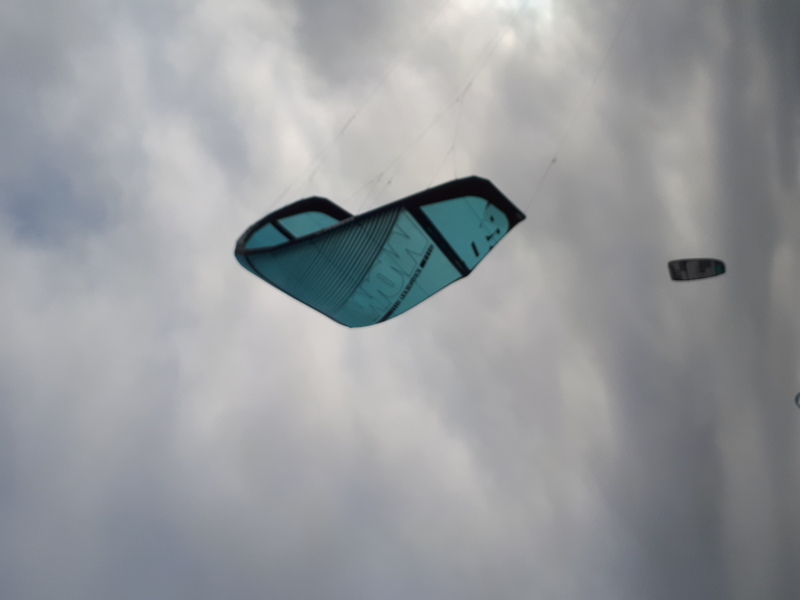 Unfortunately when you get to the more extreme side of kiting, like a mega kite loop the canopy shakes and slows down the move much more as other kites like the Dice or an Enduro. Most brands nowadays use double or more Ripstop. But our opinion is far from a given fact that more is better. 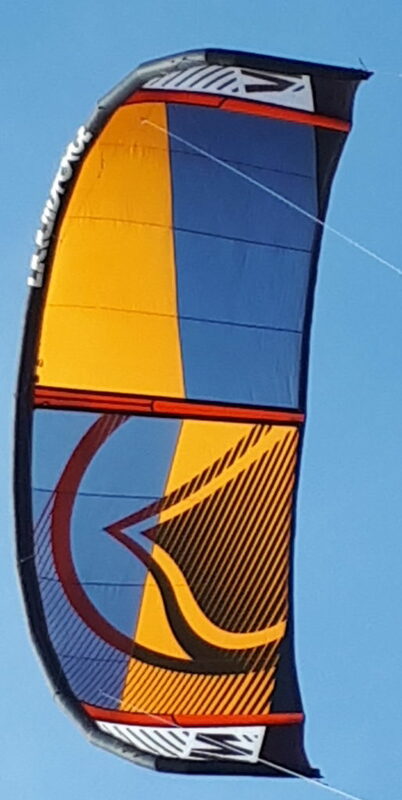 One thing we know for sure single Ripstop doesn’t help to get a kite a firm and stable feeling. And of course there is much more to it than just single, double or triple. Just to name a few; the increased weight due to multilayer can become an issues. And we know little about it, but the type of coating in combination with (too much) UV has a more than probable influence on the characteristic. 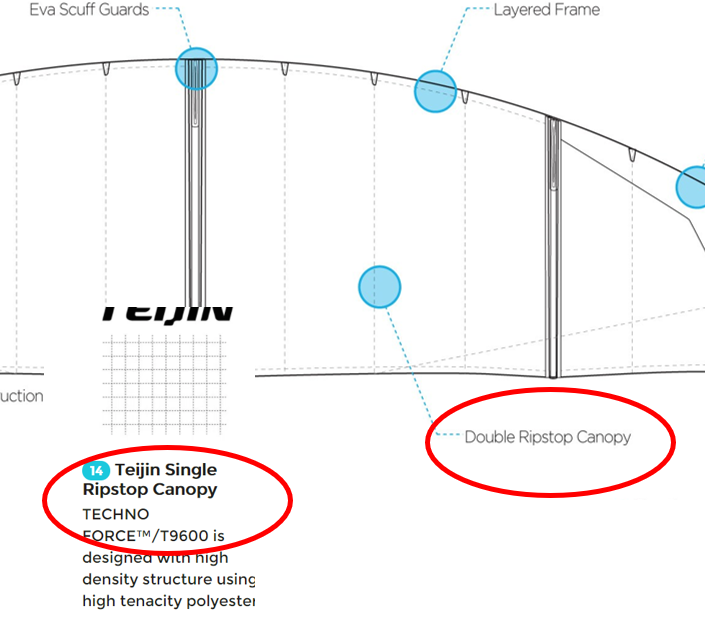 It may seem like a boring and complicated subject the type of canopy your kite is made of, but –although highly debatable– we cannot help to judge a single Ripstop kite is something from the past. The WOW -on triple Ripstop- was a nice surprise. It is more stable compared to its big brother NV, has less bar pressure and more hang time. The WOW’s wingtips are more swept backwards, just like a Naish Pivot or Core Xr5. 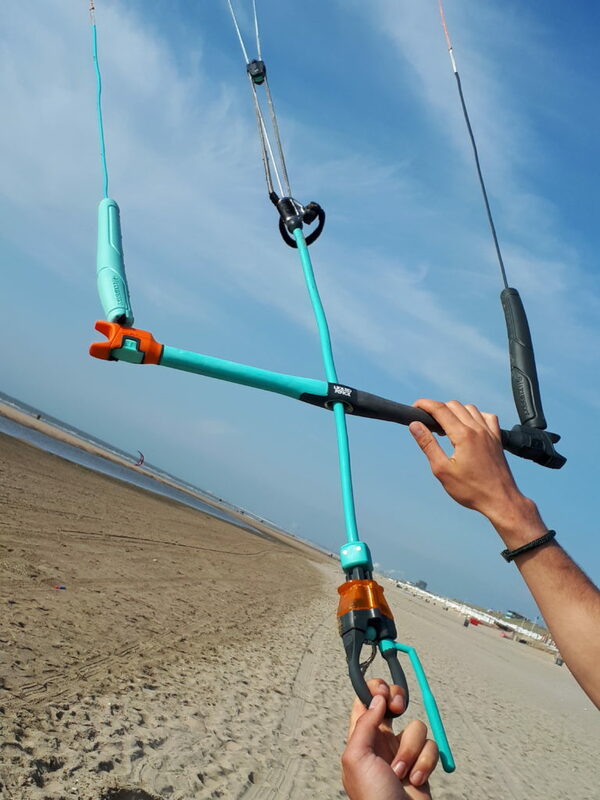 It is not a 100% wave kite and a lot of freeride kiters will be really happy on this kite. In fact we enjoyed the WOW over the NV. A kiteloop with the WOW is the opposite of an aggressive mega loop. The kite makes a relative big circle. Much bigger as for example the Pivot. It has an impressive low-end. 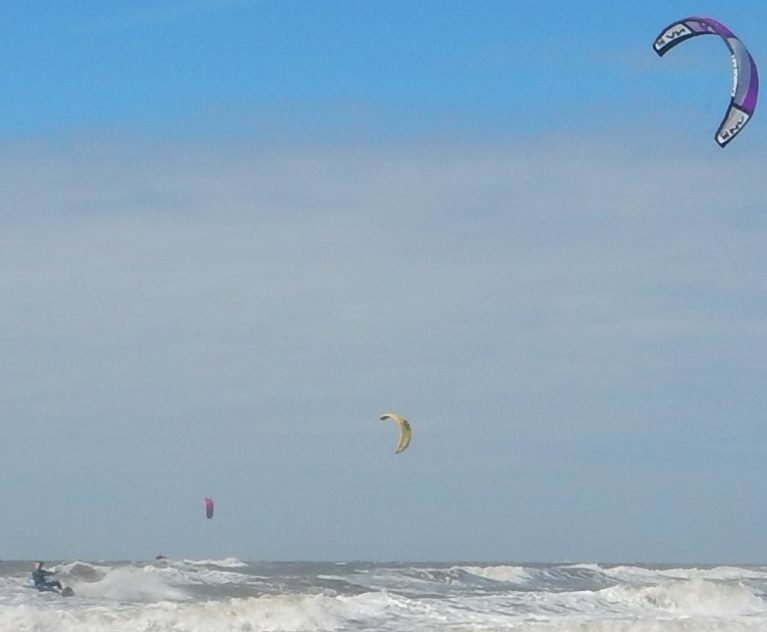 Jumping sky high and floating is great fun and kiting feels like a walk in the park with. But coming down from a huge jump the Liquid Force bar resistance on its depowerline is something that may get you annoyed. The WOW isn’t the fastest reacting kite although it is very predictable. If you send the WOW forward again after a jump to catch you from coming down you want nothing to stop you from doing that. And that is exactly where the annoying resistance from the depowerline isn’t helping. Previous articleWOO 3.0 Game over? You are right. It is better to do a proper test between two designs that are equal with different material. How ever, since we don’t know of any model that hasn’t been changed both by the design and the material together, it isn’t easy. Of cours we will test the next generation NV with different canopy, but who knows if the design isn’t changed either? 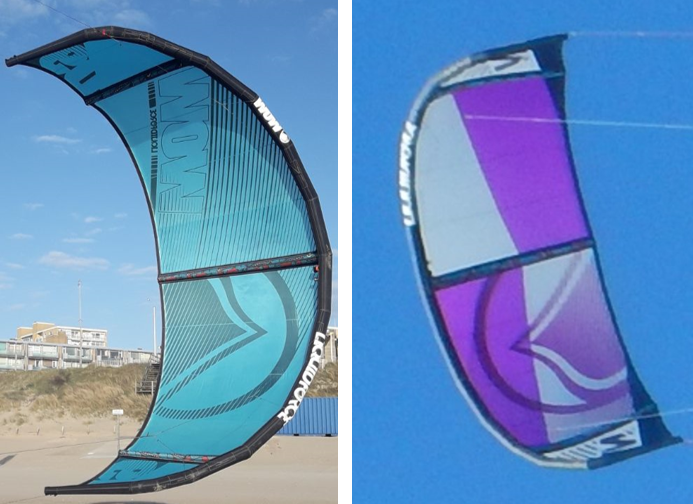 The fact that the RPM 2018, Advantages kites (unpublished test), the FS from Eleveight and the NV on T9600 material all showed similar feelings, made us believe double or triple Ripstop isn’t a marketing trick but a real progress in kite performance. You tested two different designs- this has way more influence in the kites behavior than the material. I would suggest that you prefered the DESIGN of the Wow, not the fabric! Get the NV in both single and triple ripstop versions, only then can you make conclusions about the materials….